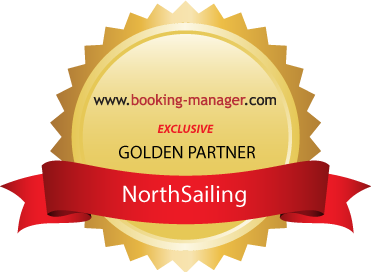 Book now and Sail with NorthSailing fleet in North Aegean Sea. Live your best holiday by choosing one of NorthSailing’s organized day cruises. Enjoy every journey, practice your skills in sailing, enjoy the hobby of fishing accompanied by the quality services of North Sailing. We are supporting you at every step, ensuring a unique summer holiday for you and your loved ones. Rent one of our sailing boats and relax on the islands of the North Aegean. Organized daily cruises to Thassos. Visit the sights of Thassos with North Sailing’s sailing boats. Open Sea Sailing School. There are classes for beginners, advanced and racing. Also there are classes for students. For those who like fishing we give them the chance to enjoy their hobby along with the facilities provided by a boat. Lets create together the package that meets your desires. Choose a boat through the list of our fleet and escape to your favorite destination! We are here for you on every step, ensuring a unique summer holiday for you and your loved ones! Take along your partner, your friends or your family, for the best vacation of your life. Our travel consultants are always at your disposal to help you organize your holiday.